One of the coolest things has happened to me, and it surprisingly doesn’t involve Leonardo or a wedding dress. GUYS. 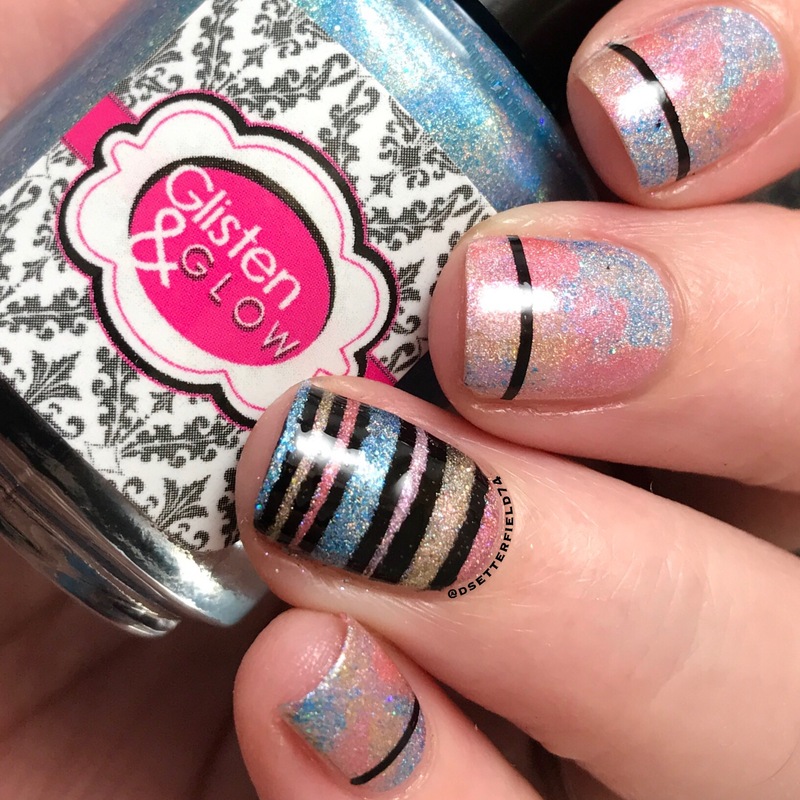 I’ve been asked to blog for the Holo Hookup box! Excuse me while I pee my pants a little. Cuz I don’t know about you, but they’ve got an awesome batch of bloggers, and to be amongst them makes me feel like I should be allowed to quit my job and wear pajamas forever AT ANY MOMENT NOW. Except hubby says NO cuz hubby is zero fun. We shall stay married, however, cuz he brings me sandwiches. 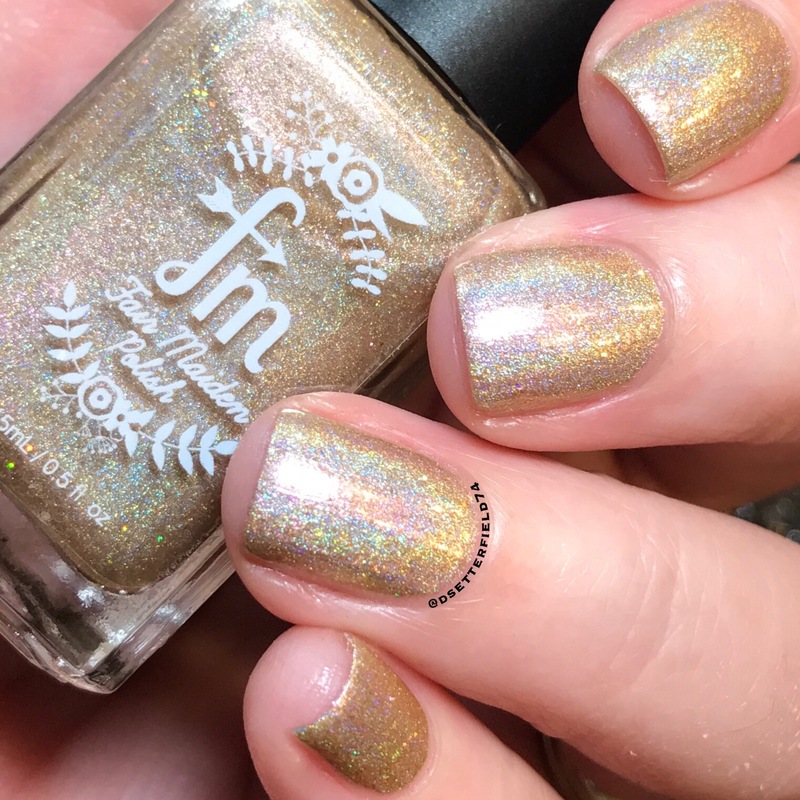 Since the Holo Hookup is a new thing to my blog, let me give you a tiny rundown. 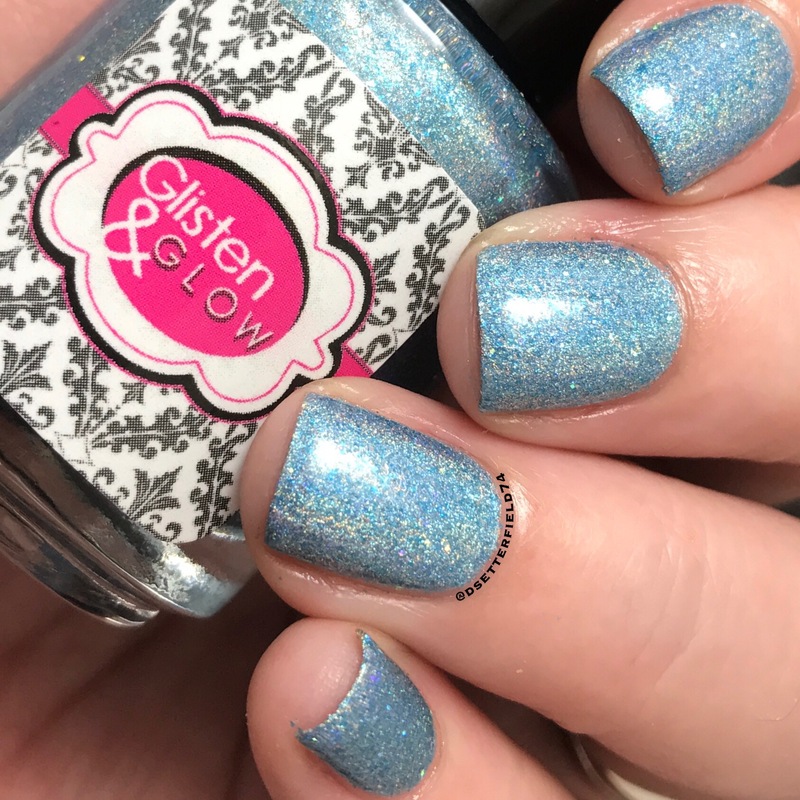 It is the brain child of Jill from Glisten & Glow, Sara from Cupcake Polish and Missi from Different Dimension. 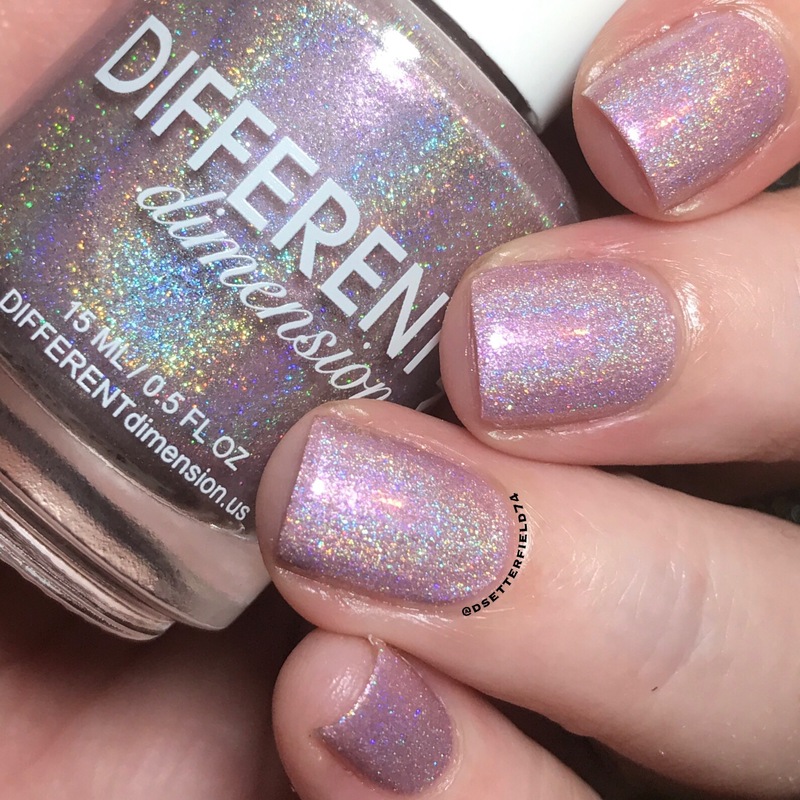 Every month, they team up with a fourth rotating featured brand and create exclusive holographic polishes based on that particular month’s theme. And then the rest of us swoon and drool and be basically unattractive as we elbow our way to the front of the line. Cuz they’re only on sale for 7 days, and y’all know a POLISH EMERGENCY ain’t the time to be leisurely. Anyway, let me show you what’s coming up for July. 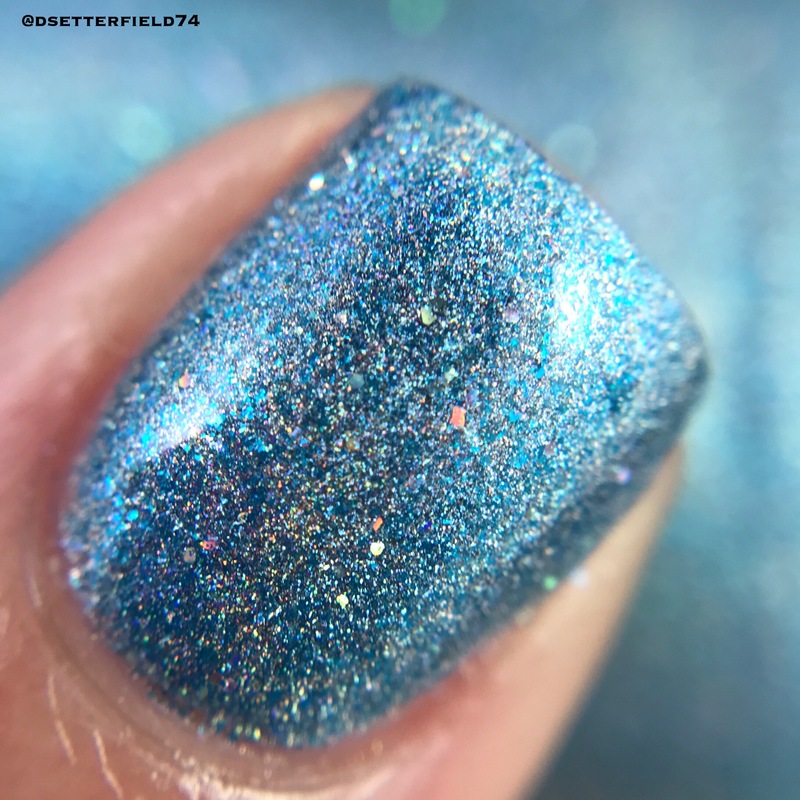 Brace yourselves for an insane amount of holo. Ready? Well then lessss go! Yep. You’re about to spend some money, I can already tell. 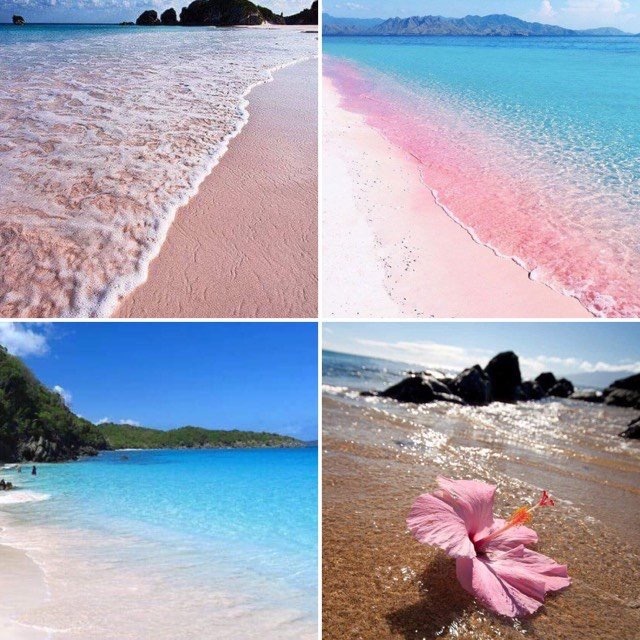 So this month’s theme is Beaches of the World. Before you even open the box, you know you’re gonna love each and every one of these. Cuz who doesn’t want all things beachy? I mean, I cried while snorkeling and wore a sweat bead mustache for 7 days straight, and still somehow managed to have a good time. The frizzy triangle-shaped hair was pushing it though, just to be clear. Ahhhhh, Humidity, my evil friend. Now let’s get into some polish. I’m getting quite chatty, and if I don’t wrap this up soon, stupid things are gonna come out. As they do about 97.75867% of the time. 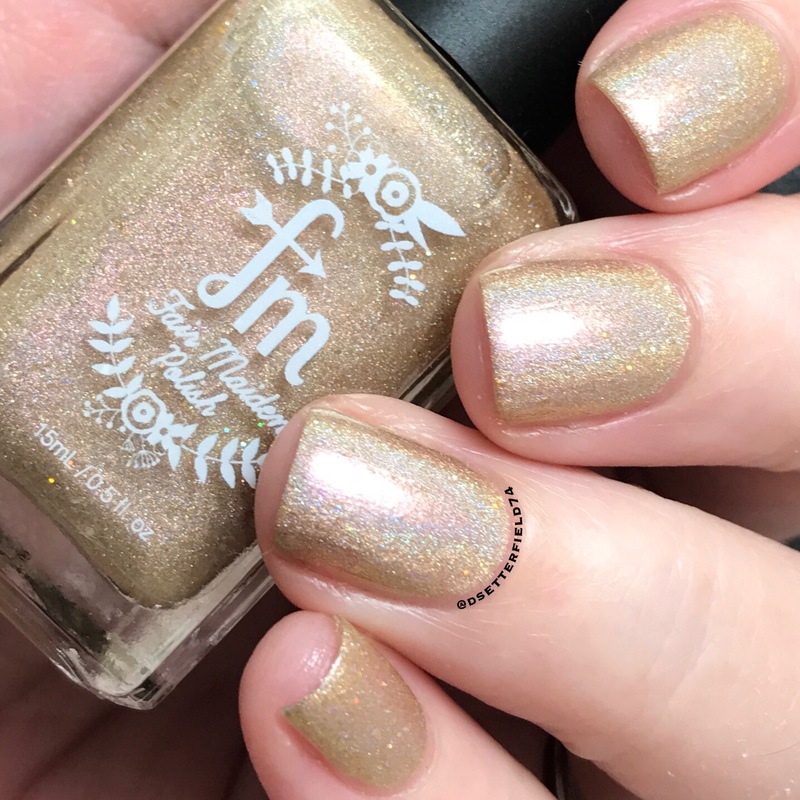 This month’s featured brand is the lovely Sarah and Adrienne with Fair Maiden Polish. 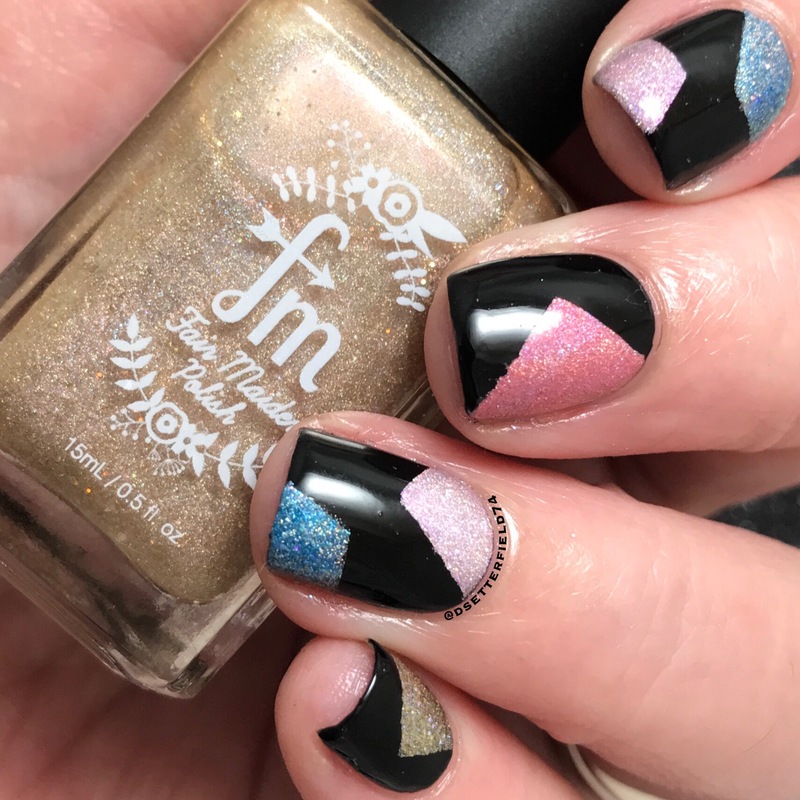 I had the pleasure of swatching a collection for them back in April, and lemme just say: I LUB THEM LOTS. 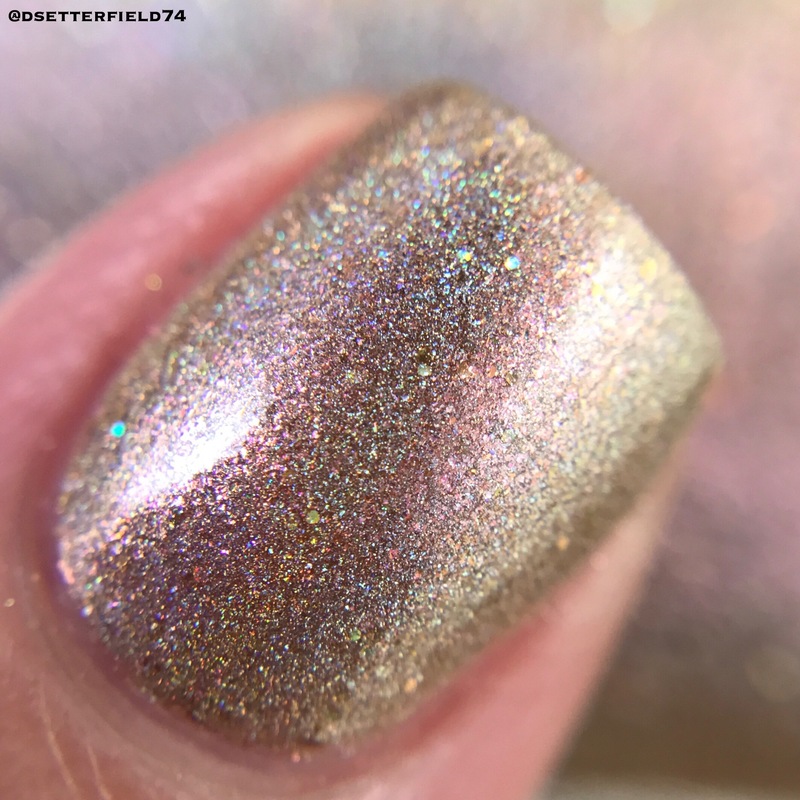 This one is a sandy linear holographic with pink to gold shifting shimmer and hints of scattered holo sparkle throughout. It’s a pretty dainty shade but with just enough punch to make my sad white sausages look slightly more hand model-y. And for that reason alone, IN THE CART SHE GOES! Look! Effort! Kinda cute right? Worth half a horn toot, maybe? 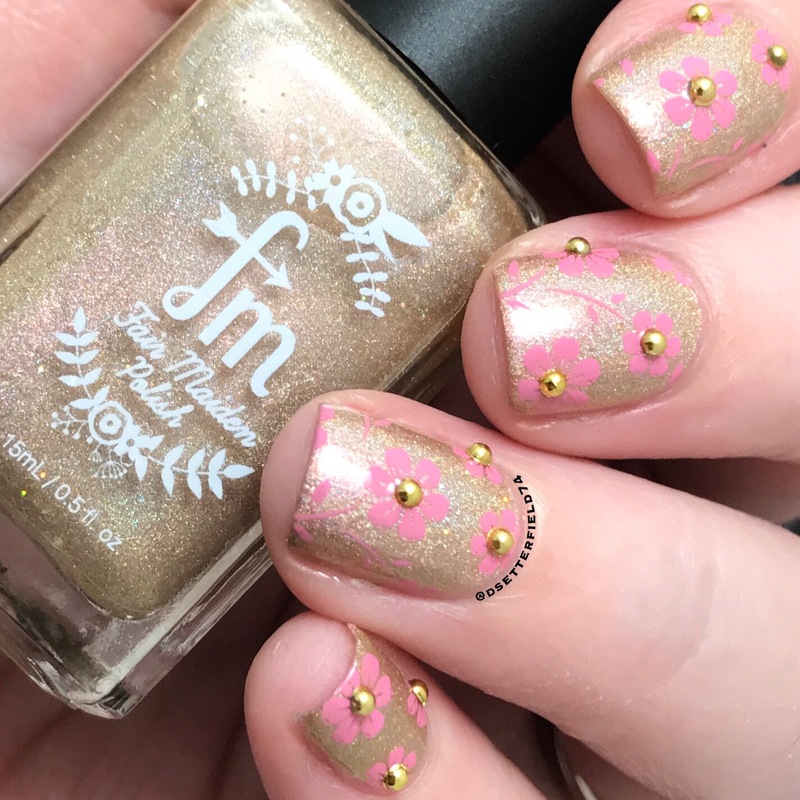 Used the Uber Chic Beauty 18-01 plate on this one, a crap ton of gold beads, and a skosh of mojo. 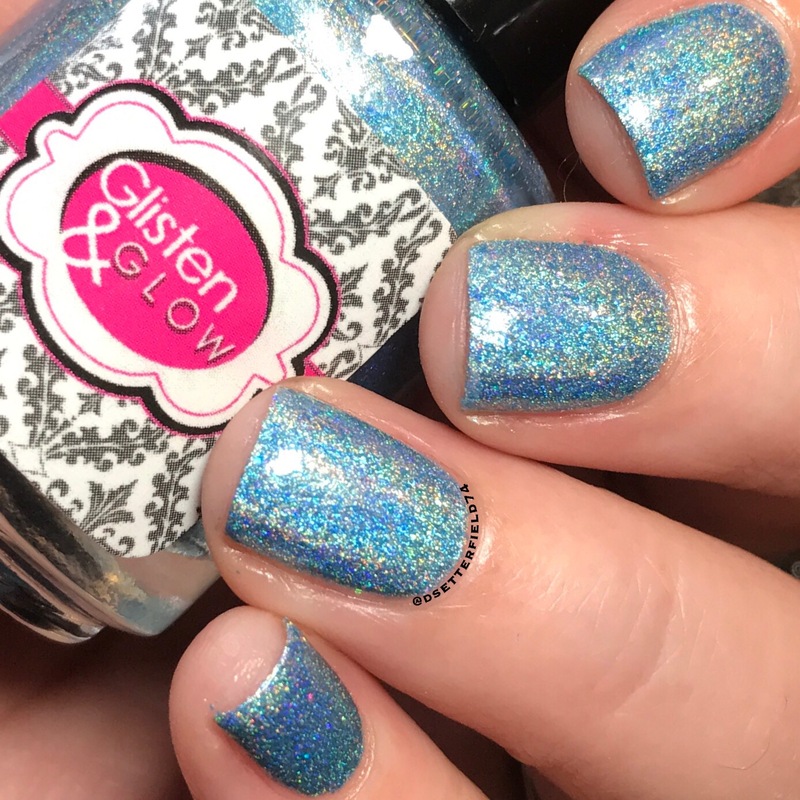 This one is an ocean blue linear holographic with mermaid tail shimmers and a twinkle of silver holo microglitters. Well, who wants this one all over the surfaces? EVERY DADGUM ONE OF US, that’s who. There’s just something about a blue, isn’t there? So calming and serene. If a nap is coming next, no one’s surprised. Angels are signing, I’m quite certain. Just kidding. I’m a drool-y mess. You might’ve expected something more mermaid-y, so naturally I did raindrops. Best blogger ever, is what you’re thinking. 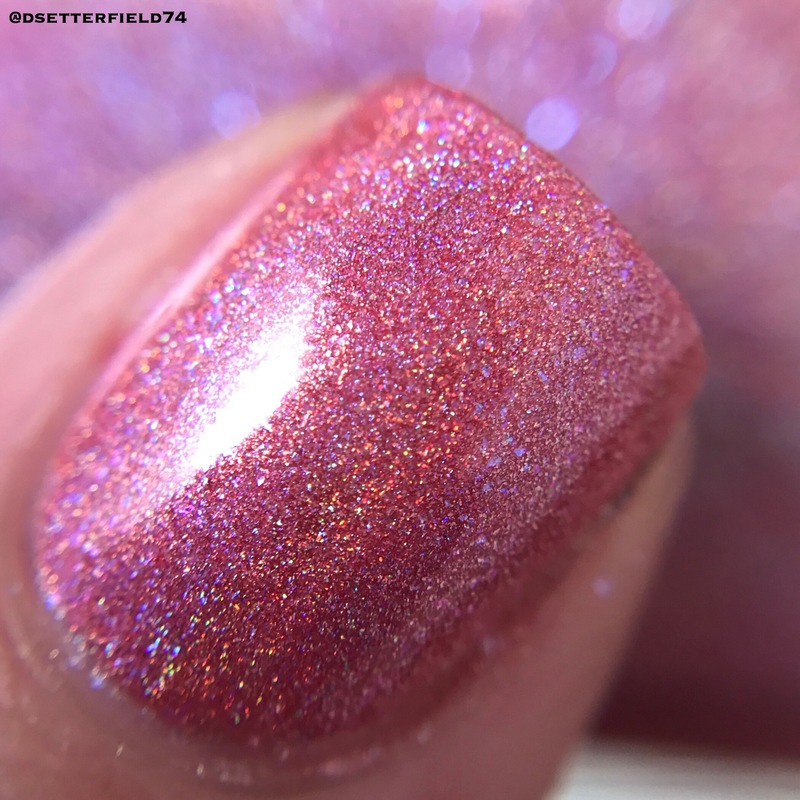 This one is a blush pink linear holographic with twinkling pink shimmers and silver holographic microglitters. 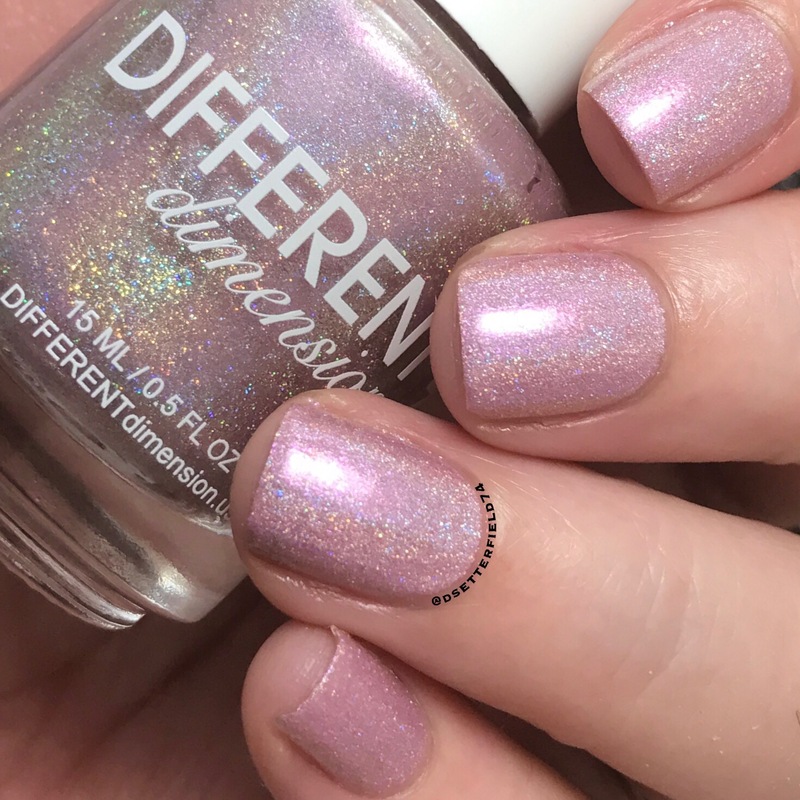 It gives off a slight lavender-y tone on me, and it’s so soft and precious and perfect for holding tiny cappuccinos. Cuz she a fancy lady, that’s why. How are we still upright? The sheer amount of perseverence on display over here is downright superhuman. Still not putting pants on though. Meh. No awards are coming, but it’s not the worst I’ve ever done. I mean, you’ve read this blog before. Nail fails, THEY. ARE. EVERYWHERE. 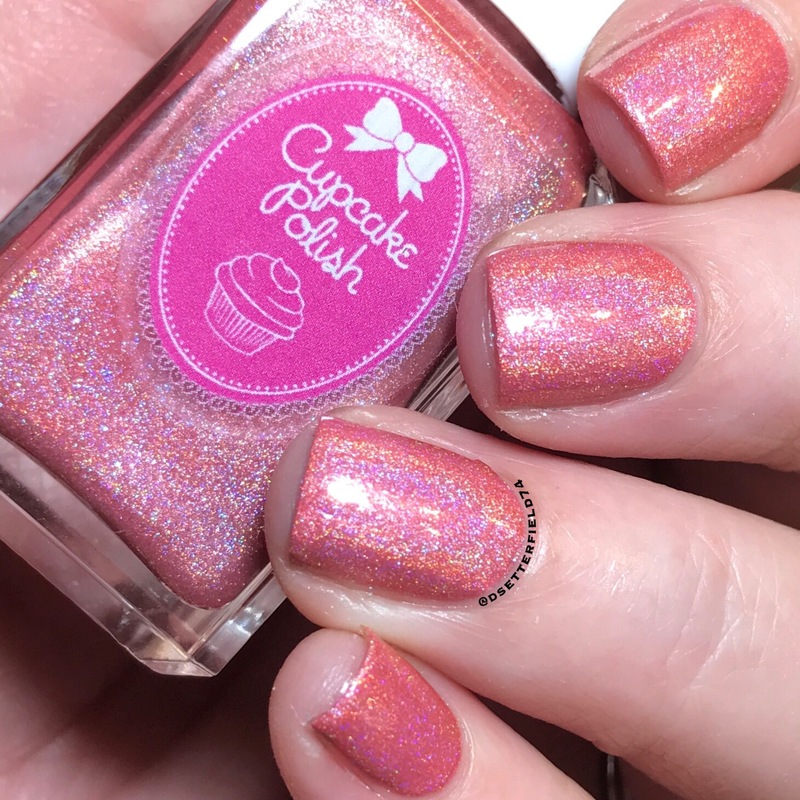 This one is a creme based peach linear holographic with pink to blue shifting shimmers. 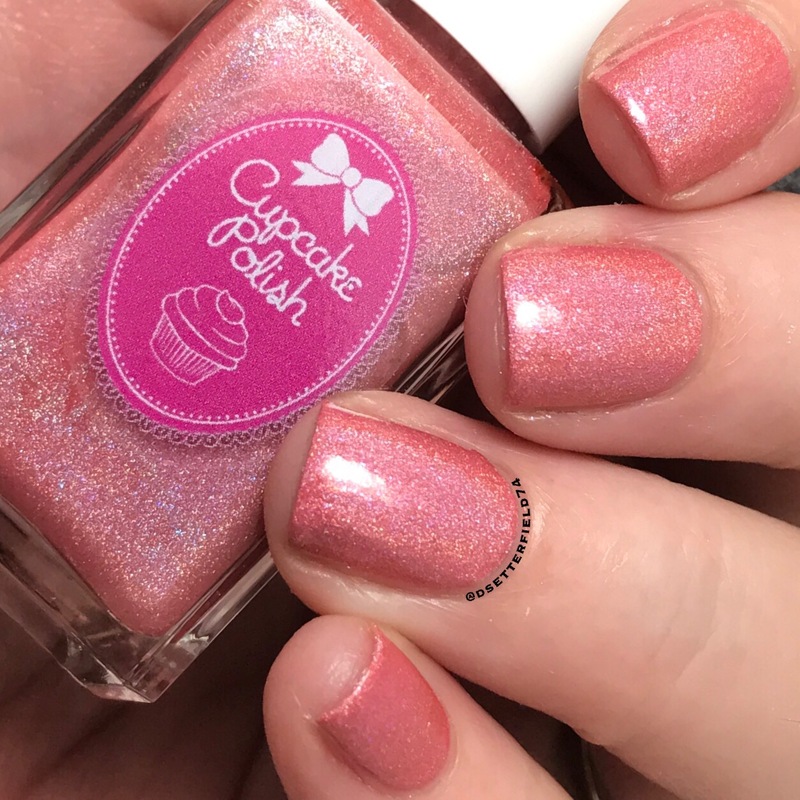 At first I thought this was a pink polish, but after I applied it, the peach is very evident. It’s such an awesome summery shade. And it’s pretty much a one coater, although I added a second out of habit. Then I went and lounged on couches, cuz TWO COATS for no damn good reason? That’s effort to the trillionth degree. But then again, you already know. One box plus 27 backup boxes, AT MINIMUM. You stopped scrolling! Ugh. Is it me or is that blinding white pinky nail just staring you in the face asking WHAT THE HELL, Expert? 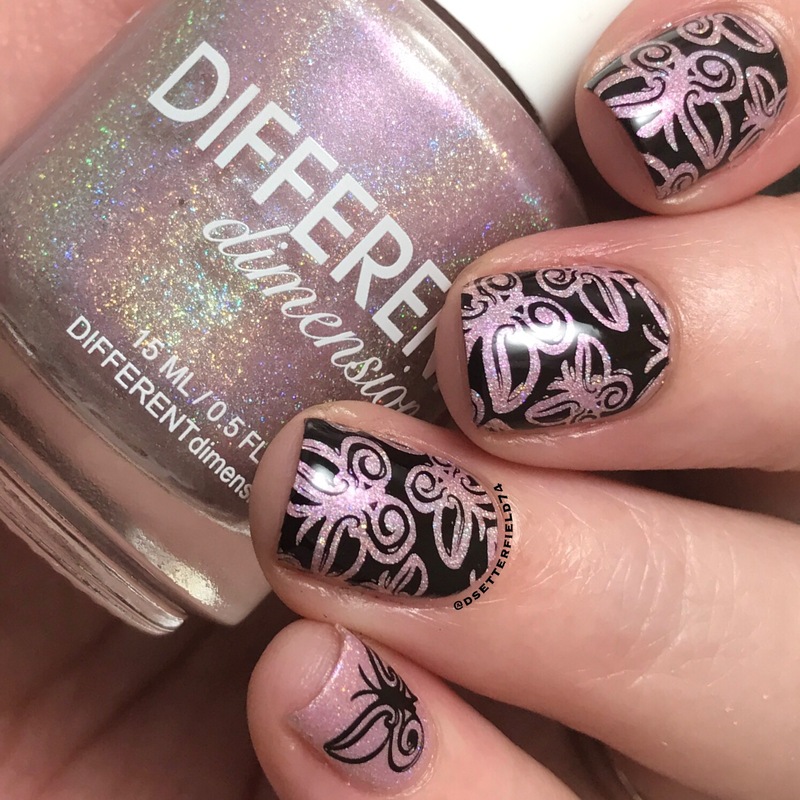 Like, was I doing nail art and then somewhere in the middle my brain just up and went somewhere? Bye bye mojo. You had one foot out the door anyway. 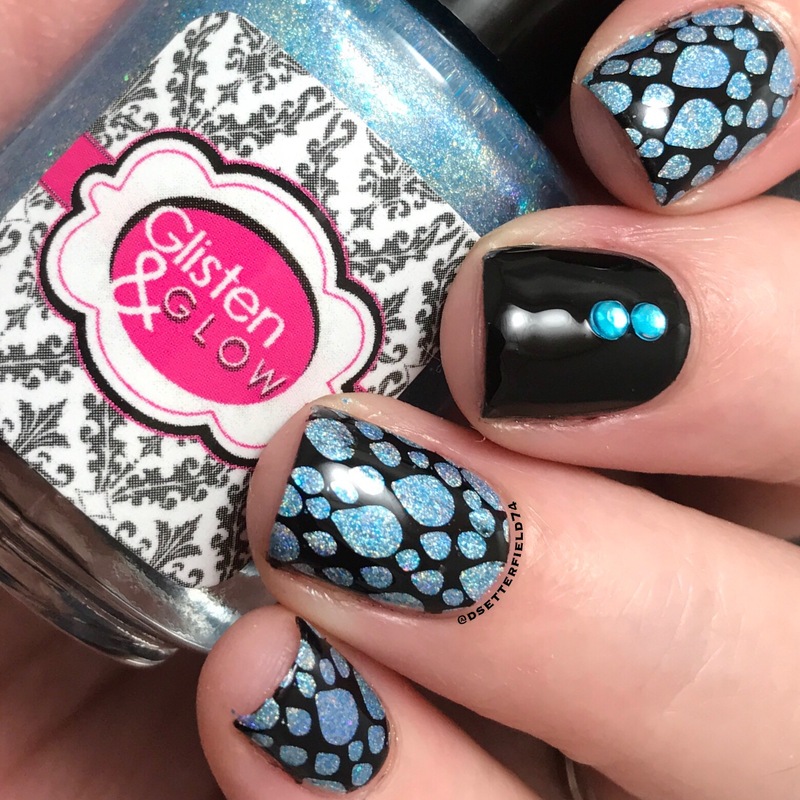 Used the Uber Chic Beauty 9-01 plate, but at this point … NEXT! Used all four colors from the box and smooshed ’em all over my nails cuz a big burst of energy just happens sometimes. Don’t worry, though, we’re all back to normal now, picking things up with our feet cuz bending over properly is a commitment I’m not yet ready to make. Again, used all 4 colors. Seriously, is a Starbucks coming? I think yes. Pre-order for this box starts on June 21 at 9pm EST and will run thru June 28 at 9pm EST. And in case you don’t math well, that’s 7 days of panic heading your way. So 17 alarms and Post-It Notes in all the places? COMPLETELY NORMAL BEHAVIOR. Okay, gang, that’s it! You’ve got your game plan and I’ve got the carpal tunnel. Oh the things I do for your love. Professional Blogger Extraordinare? Yep. Sounds about right. Awesomeness times ten going on for your fun blog lately! Congrats again to you!!! I LOVE the Holo Hookup box but this month is one I can pass on. 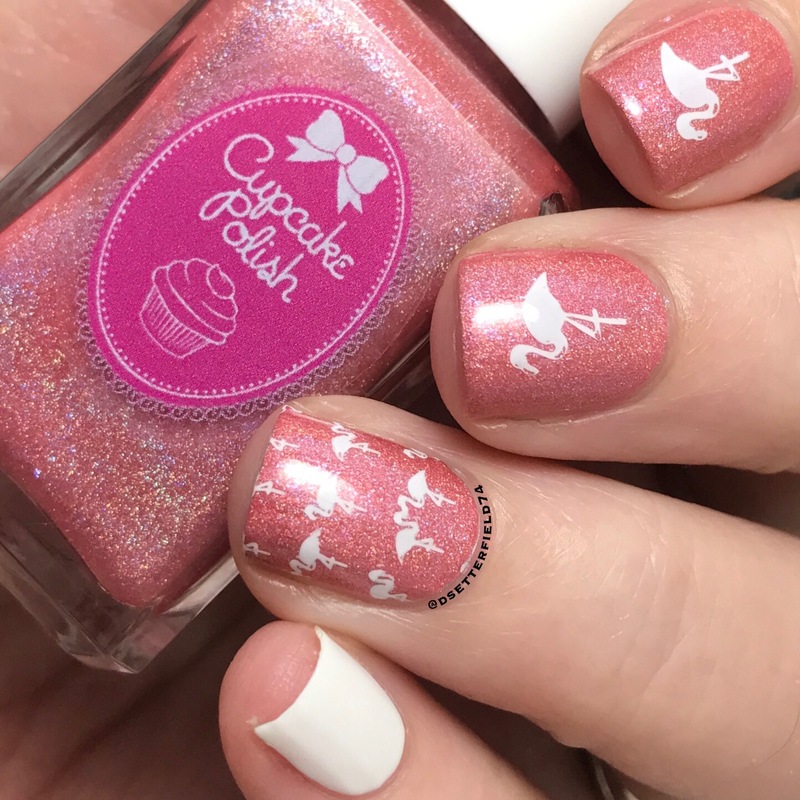 The polishes are all lovely but I’m not a gigantic “soft shades” person. Love all the colours! Definitely a soft shades person here, although dark is awesome too. Brights, not as much on myself. Also, congrats! What fun! Thank you dear! I’m very excited!! Darks are my fave cuz they look better against my skin tone, but I do love the soft shades too!